Moss only grows on the north side of a tree (false). You can find the points of a compass by the sun’s position in the sky (sometimes). Streams usually lead to civilization (often not). Even if you hunt in a place you know like the back of your hand, a good GPS unit still has its advantages. Besides the fact that you’ll always know spot-on where you are, a hunting GPS still allows you to place pins in specific locations on the property. Many hunters use GPS to locate their game cameras in the field, so they can walk right up to them even in low-light conditions or as the topography changes with time. Use a GPS to mark trail heads, hollows, food sources and many other things that help make for successful hunts. Simply put: Having a GPS and not needing one is far better than needing a GPS and not having one. They save time and make better hunters out of all of us. That said, they can be used in many ways to simplify and amplify your hunt. But, much like with trail cameras, all GPS devices are not made equally. So let’s look at what makes for a good GPS for hunting, then we’ll select a few of our favorites. The Rhinos can also utilize Garmin’s Connect mobile app to link with a cell phone and get real-time weather info and animations. The Traverse Alpha has a suite of features that make it a GPS hunting watch, rather than just another GPS receiver. The onboard sensors on the Foretrex 401 include a barometric altimeter and a digital compass. The full-color LCD screen on the Montana 680t measures 4 inches diagonally. It is quite bright and has a 272 by 480 pixel resolution. Using both satellite systems in tandems makes devices much more capable than those using only one or the other. Being a marriage of GPS receiver and two-way radio, the Garmin Rhino may be the best handheld GPS for hunting in groups. These waterproof navigators give hunting partners the ability to communicate when separated, while maintaining a position fix for one another. Meanwhile, the Rhinos function as fully state-of-the-art GPS navigators. These navigators can utilize the GPS, GLONASS or WAAS satellite systems. The default setting combines the GPS and GLONASS in tandem, which increases the unit’s accuracy when cover is present. Using that selection also increases battery drain, but battery life is better than 12 hours on the included rechargeable battery regardless of selection. Lithium or NiMH AAs (4) can last even longer. Having a spare battery set on hand can increase operation time to more than 24 hours straight. The Rhinos can also utilize Garmin’s Connect mobile app to link with a cell phone and get real-time weather info and animations. When out of range of cell towers, the NOAA weather radio function allows transmission of any local warnings or notifications from the National Weather Service. Other features include the 3-inch color touchscreen, which can be operated with gloved hands. Internal memory is 4.5 GB, and the units can accommodate a 32 GB SD card for more storage. Both navigators also have barometric altimeters and digital compasses. They have automatic routing for road navigation, and sun and moon/hunting and fishing calendars. The differences between the two Rhinos are slight. The 755t provides a couple of extras that the 750 is missing – an 8 MP camera and the TOPO U.S. 100K map software. The 755t also comes with a subscription to Garmin’s Birdseye satellite-imagery service (one year), but otherwise the 750 and 755t are nearly identical. The map software is among Garmin’s best, and the satellite images can prove invaluable, though both are available to download on the 750 through Garmin’s website. The camera is another matter. The camera on the Rhino 755t introduces some interesting functionality to an already highly functional navigator. The unit automatically geotags each image with coordinates, making it easy to find the exact location again. Users can orient the camera just like with a smartphone, so landscape and portrait views are available by tilting the navigator. Image quality is as one would expect for an 8 MP camera: shareable if not frameable. Radio communications can range up to 20 miles utilizing the general mobile radio service (GMRS) system, which requires a GMRS license from the FCC ($70 fee). Users who opt for the family radio service capability can do so without a license. Using FRS limits radio range to two miles at best, which still isn’t bad for most locations. Both Rhinos can also transmit text messages to similarly equipped Garmin handhelds, and both have an Emergency Alert feature that helps send a distress call and provides notification that the call was received. Communication is done through the onboard speaker and microphone or through the 3.5 mm headphone jack. The Rhinos are also Bluetooth enabled for hands-free operation when hunting. The Suunto brand dates back to 1936. The Finnish company was the first to market a liquid-filled compass, and it has since become a trusted maker of dive computers and sports watches. Suunto’s Traverse Alpha uses a combination of the GPS and GLONASS systems to provide impressive accuracy. The Traverse Alpha has a suite of features that make it a GPS hunting watch, rather than just another GPS receiver. Its tough glass-reinforced fiber case is waterproof up to 100 meters. The bezel and pushers are knurled stainless steel, and the band is nylon textile. The whole Traverse line – including the Alpha – has been tested to Mil-Spec standards for vibration, impact, immersion, dust, freezing and more. The onboard hunter-friendly software includes location-specific moon phase calendar, which also shows times of moon rise and set. There is also a sunrise alert, a weather alert and a red backlight for use with night-vision equipment. The alerts are transmitted via a subtle-yet-attention-getting vibration, which can also be used to notify users of incoming texts on a linked cell phone. Only the first few words of a text are transmitted to the screen, though. The watch also has a built-in flashlight, which is similar in brightness to the average cell phone torch. The Automatic Shot Detection feature records the location and time of shots anytime users fire a rifle or shotgun. While the Traverse series watches can all record any point of interest (POI) at the push of a button, the Traverse Alpha has hunting-specific POI capabilities for locations such as trails. The watch also shows barometric pressure on a graph, so users can mark changes in weather that lead to increased game activity. The barometric pressure sensor also works as an altimeter, so points of ascent and descent can be marked. There is also a Breadcrumb feature that helps prevent hunters from getting lost in new territory. It works by periodically marking locations automatically. When activated, the Breadcrumb feature then shows those points as waypoints, making it simple to retrace your steps and find your way out of the wilderness. There is also an easily accessible digital compass. The Traverse Alpha watch utilizes Suunto’s Movescount software, which includes topographic maps. The maps are accessed via computer or smartphone. Users can pre-scout and pre-select routes. They can then download the route and see key details on the Traverse Alpha watch. Accuracy is excellent, as one would expect with a GPS/GLONASS navigator. However, the GPS function has a serious draw on the onboard rechargeable battery. When used as a timepiece, the Traverse Alpha can achieve as much as 100 hours of battery life on a single full charge. If the GPS function is left on, though, expect battery life to fall to as little as 10 hours. Garmin’s Foretrex 401 is a no-frills GPS hunting watch that still offers much of the functionality of its pricier competition. Its sensitive GPS receiver utilizes Garmin’s HotFix satellite prediction capabilities to improve accuracy over GPS alone. However, it does not use the GLONASS satellite constellation. As it is a wearable hunting GPS, it makes sense to consider the weight of the unit. The Foretrex 401 weighs 3.1 ounces with its required two AAA batteries installed. Battery life can reach 17 hours without GPS enables, but it can fall to as little as 9 hours when using GPS functions. The black and white LCD screen is predictably tiny, measuring just 1.6 inches diagonally. Resolution is also unimpressive at 100 by 64. The Foretrex comes loaded with Garmin’s Basemap topographical map software. Its onboard memory can store up to 500 waypoints or 20 complete routes. There is also a TracBack feature that records the route taken and allows those steps to be retraced. The Foretrex shows the previous route as a series of dotted lines on the screen. All this information can be shared with other Foretrex 401s, but not with any other GPS device. The onboard sensors on the Foretrex 401 include a barometric altimeter and a digital compass. Users interested in multi-functionality will be interested to know they can link the watch to a cadence sensor or heart rate monitor. Hunting-specific features are really limited to sunrise/sunset and hunting/fishing calendars. Users can utilize the included USB cable to connect the Foretrex to a computer. They can then store previous routes and waypoints and use the company’s Garmin Connect online platform to view the information on Google Earth. Again though, the displayed map on the Foretrex 401 is simplistic compared to modern handhelds. While its functionality is easily eclipsed by those bulky units, the Foretrex 401 does what it was designed to do. It provides competitively accurate locations (once calibrated) and does so reliably. Its case is tough and waterproof, having been proven on battlefields and in tough climates for years. The strap is equally tough, with enough excess material to be worn over a coat sleeve or anywhere on the forearm. Sure, the display is simplistic by modern standards, but simplicity brings with it reliability. The Foretrex 401 was made to be trusted. It works when called upon and gives most users all the functionality they will ever need. Use the cash you save from not paying for features you don’t need to buy other equipment that you’ll actually use. The Montana 680t is among Garmin’s premier handheld GPS navigators. This unit has all the proverbial bells and whistles. In many ways, the Montana 680t works in a similar fashion as a cell phone, albeit one with unbeatable GPS accuracy and speed. The Montana 680t can utilize the GPS, GLONASS or WAAS satellite systems. Like most top-tier Garmin navigators, the default option is to use GPS and GLONASS in tandem. This option is faster and more accurate than the others, though it will inevitably cause the batteries to drain quicker. Those battery options include a rechargeable Lithium-ion battery, which offers up to 16 hours of life. Users can also opt to use three AA batteries, which can last up to 22 hours. Any Garmin Montana 680t review has to include a mention of its onboard software. The Montana 680t comes equipped with Garmin’s TOPO U.S. 100K collection of topographical maps. These maps are comparable to the U.S. Geological Survey maps at 1:100,000 resolution. The topography includes water features such as streams (seasonal and perennial), rivers, coastlines, lakes and rivers. There are also elevation profiles, roads and trails. These maps also delineate the boundaries of local, state and national parks. Garmin charges $100 to download this map collection onto devices that don’t already include it. The full-color LCD screen on the Montana 680t measures 4 inches diagonally. It is quite bright and has a 272 by 480 pixel resolution. This navigator offer 8 GB of internal storage and the ability to use an SD card to increase it. It can also store up to 4000 waypoints, up to 200 routes, or any combination thereof. The screen is also dual-orientation, so it can work when held vertically or horizontally. Another key feature of the Montana 680t that works in landscape or portrait mode is the onboard 8 MP camera with flash. Like other camera-equipped Garmin handhelds, the images are automatically stamped with GPS coordinates, making returning to the exact spot of the picture simple. The onboard sensors include a barometric altimeter and a digital compass. The compass is a three-axis, compensated type. Therefore, there is no need to worry about the unit’s orientation while using the compass. Unlike previous generations of Garmin navigators, the compass will read true and give accurate directions whether it is held level or not. Users interested in using their GPS tracker for hunting and for navigation may interested in the Montana 680t’s ability to utilize various mounting options for use in automotive situations. It can also download Garmin’s City Navigator map data for turn-by-turn functionality. Hunting features include Garmin’s typical hunting, fishing, sun and moon calendars. The Montana 680t can also send stored waypoints, routes and other info to other similarly equipped Garmin navigators. Other non-hunting capabilities include in-depth functionality with geocaching. While other navigators force users to enter geocaching coordinates manually, the Montana 680t can download that and other important information (waypoints, terrain, hints, etc.) and manage it at the same time. With its ability to multitask, many users consider this most useful as well as the best GPS for hunting. The Oregon 650t can take the place of several devices that hunters use regularly. 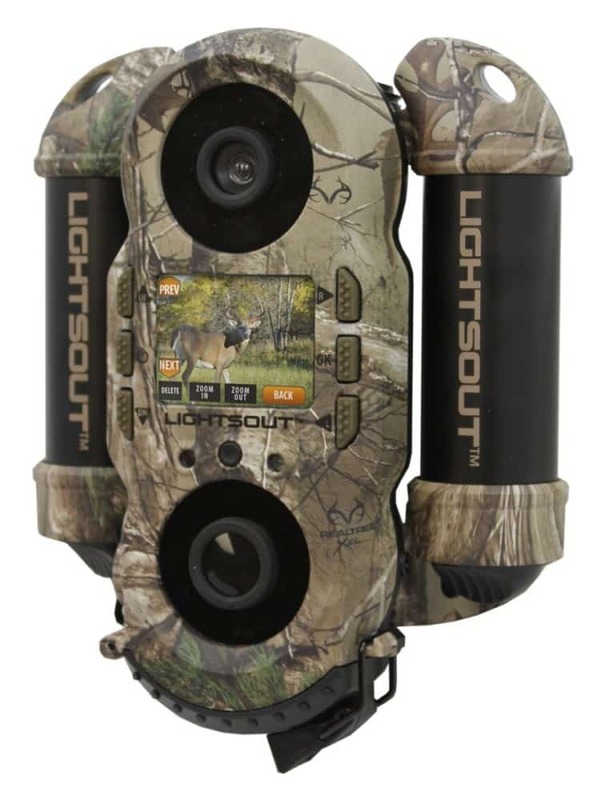 It is a GPS navigator and camera in one, eliminating the need to bring a cell phone out into the elements. The Oregon 650t is tough and waterproof. It also includes a digital, three-axis compass that can operate regardless of orientation and a barometric altimeter for better altitude fixing. Battery life is improved with the Oregon 650t’s dual-battery system. The included nickel metal hydride (NiMH) battery is capable of providing up to 16 hours on a single full charge. Inserting two AA batteries (alkaline, NiMH or lithium) can also net 16 hours of battery life, for a total of 32 hours on a charge and a spare set of AAs. As is always the case, NiMH and lithium AAs will always outperform alkaline batteries in cold temps but not necessarily in warm weather. A Garmin Oregon 650t review detailing its hunting abilities should also explain its included map selection. Wilderness mapping is key to any GPS tracker for hunting, so Garmin saw fit to add the TOPO U.S. 100K map collection to its standard Basemap feature. The TOPO maps are ultra-accurate, similar to USGS maps. They include only maps for the continental U.S., Alaska, Hawaii and Puerto Rico. The TOPO maps are shaded for elevation, and include displays of state and national parks, seasonal and perennial streams, boat launches, campgrounds and many other points of interest. The camera on the Oregon 650t is Garmin’s 8 MP autofocus camera. It automatically tags images with GPS coordinates for easy location at a later date, and has a digital zoom to get you up close to the action. The onboard 4 GB memory can store images and up to 4000 waypoints or 200 routes (or a combination). More images can be stored when adding a card to the microSD slot, and the navigator can also be used to view images stored on microSD cards taken on other devices (such as a game camera). The images and mapping are displayed via a 3-inch LCD screen, which is full-color. The touchscreen is sensitive but not overly so, and can be used with many different types of gloves. Like the camera, the screen has automatic dual-orientation capability that can be switched off when not needed. It is also impact resistant. The Oregon 650t is also capable of non-hunting uses. With the addition of optional downloadable software, it can function like an automotive GPS, even giving turn-by-turn routing. It is also geocaching-friendly, and can work in tandem with external devices like heart monitors and cadence detectors. But it is as a GPS tracker for hunting that the Oregon 650t really shines. Its onboard hunt/fish and sun/moon calendars and information are now basic inclusions for a Garmin hunters’ GPS navigator, but they never cease to be useful. The GLONASS and WAAS compatibility provide the quick signal fix that hunters have come to expect, even in the densest terrain and the harshest conditions. Garmin has improved on the design only by way of larger storage capacity and screen in other, more-expensive models. Regardless, the Oregon 650t is hard to fault. When the eTrex series first hit the market, Garmin announced what amounted to a paradigm shift in GPS navigation. This was the first consumer-available GPS navigator capable of simultaneously utilizing GLONASS and GPS satellites. Gone were the days of waiting for location fix while your GPS receiver searched for a signal. Gone too were the days of 10-meter accuracy. Using both satellite systems in tandems makes devices much more capable than those using only one or the other. It is honestly a stretch to call the eTrex 20x a hunting GPS. Rather, it is an all-around outdoors GPS that can work perfectly well for many hunters. It has the same sun and moon calendars as other Garmin hunting GPS navigators, but it is missing their hunting and fishing calendars. It also forgoes the rechargeable batteries in favor of two AAs, though it can last for up to 25 hours on a set. The eTrex 20x is also physically smaller than newer Garmin models, measuring 2.1 by 4 inches and weighing 5 ounces. At 2.2 inches, its display is also a bit smaller than is common on the newest models, and it lacks touchscreen functionality. But its 240 by 320 pixel resolution and bright display are visible in sunshine or shade, and water resistance makes it tough enough to withstand harsh hunting weather. A 3.7 GB internal storage capacity can be boosted by adding a microSD card, but it is honestly plenty large enough for most users’ purposes. We aren’t storing movies or albums here. The onboard Basemap software has worldwide coverage, but more-detailed topographical maps are available for download from Garmin. As is, the eTrex 20x can store up to 2000 locations or up to 200 routes (or a combination). With the addition of urban mapping, the eTrex 20x is capable of turn-by-turn navigation for automotive uses. It is also compatible with geocaching, though some users complain it is not quite accurate enough for the task. Of course, there is no telling if those users are utilizing the WAAS or HotFix features, both of which make this navigator perfectly capable of use as a hunting GPS. In all honesty, the only things hunters are sacrificing for the affordability of the eTrex 20x (versus a newer Garmin hunting GPS) are a camera, a touchscreen and TOPO mapping. The TOPO maps are available for download. The touchscreen may be a deal-breaker for some, but it isn’t absolutely necessary. Cameras are required equipment for hunting trips, but we all have those in our pockets these days. Any other sacrifices (memory, screen size, rechargeable batteries, etc.) can be easily justified at the time of payment. The leftover funds versus better-equipped GPS navigators can easily fund a hunt, and may even pay for the weapon you use for it. The global positioning system is composed of at least 24 satellites that transmit one-way signals. They are positioned in medium-Earth orbit so that at least four are accessible from any point on the globe at any time. The U.S. government (Air Force) maintains these satellites as a free and open utility. A GPS receiver is any device that utilizes the signals from three or more of those satellites to triangulate a location. Three satellites are sufficient for a 2D location, while four or more satellites can give more information, such as altitude or speed. Modern GPS devices can usually track at least eight satellites at one time. The U.S. government is committed to providing GPS signals that are accurate to 25.6 feet at a probability of 95 percent, but most GPS devices can easily beat that. The best hunting GPS devices average in the neighborhood of 3-foot accuracy, still at a 95 percent probability, and can far exceed that accuracy at times. Accuracy can only be given as a probability because variable physical factors that affect it, such as nearby buildings, overhead clouds, tree canopies, etc. There are currently several ways of improving GPS accuracy, which involve onboard equipment that affect the cost of the device. The differential GPS (DGPS) system consists of a series of ground-based installations that constantly monitor GPS satellites and make minute corrections to the signal, sometimes improving accuracy down to tens of centimeters. The wide area augmentation system (WAAS) is similar, though it includes geostationary satellites to facilitate its signal and eliminate the need for added equipment. A WAAS-enabled GPS is the most accurate type in North America, though it functions as only a simple GPS anywhere else. Hunting is not a fair-weather activity. Most hunting seasons occur in the fall and winter, when foul weather is all but inevitable. To top it off, most hunters do their scouting and tending to feeding plots in the warm-weather months. Therefore, a hunting GPS needs to stand up to the rigors of outdoor use. This requirement eliminates many of the GPS receivers on the market. Forget those units intended for driving or running. Focus only on those receivers with a broad temperature range, and place emphasis on a waterproof case. Hunters ask more of their GPS units than do almost any other subcategory of users. Most hunters track various points of activity on their property and use them to determine a location to stalk. Couple that with the various maps and functions of any GPS receiver, and the need for ample storage becomes apparent. Any good GPS should come with maps pre-installed. There are times, however, when the ability to download new or more-detailed maps might be advantageous. Even if you only ever hunt on a single piece of property, consider the possibility of a once-in-a-lifetime hunting opportunity. Purchasing a GPS receiver from a reputable maker with a built-in system for map creation and downloading means your unit will be ready come what may. The latest addition to the GPS receiver marketplace is onboard digital cameras. With this function, a GPS unit can act much like a cell phone – minus the calling of course. So why not just use a cell phone? Well, for one, you already have your GPS handy when hunting. Also, your cell phone is not likely to be as weather-resistant as a GPS receiver. Lastly, many GPS units can record important information on an image (location, barometric pressure, time, date, moon phase), just like the best game cameras can. Like most other portable electronics, GPS units can be powered in one of two ways. First, there is the traditional battery. Many handheld units run on AA or AAA batteries. Lithium AAs last much longer than alkaline batteries, but not all of these devices can work with either. The other type of GPS battery is a rechargeable. Either type of battery may be fine for any hunter. Rechargeable batteries are cheaper over time, and most will easily last through a day-hunt. Spare batteries in the pack can make disposables the best option for longer hunts, and many GPS handhelds make both options available. The display will be your interface with the GPS unit. Just as with the other features here, added functionality also generally means added costs. Some of the best hunting GPS receivers have color screens that enable them to display either 3D or 2D topographical maps, but that doesn’t mean they are a necessity. In areas of flat terrain, the ability to display altitude may not be a requirement. The same is true for other display features. Whether touchscreen functionality is important is equally a matter of individual use and preference. When hunting in cold weather, large buttons may be a better option, both because removing gloves may not be wise and because a touchscreen may not even function below a certain temperature. A large, full-color, interactive display may increase the functionality of a GPS receiver, but it won’t necessarily increase its usefulness to everyone. Some other features can be more important. While GPS receivers work alone, there will always be times when the device needs to be connected to a computer or a network. Software updates are a regular occurrence, and don’t discount the need to download new or better maps in the future. With the ubiquity of USB, expect your device to have at least that hard-wired port. Some GPS receivers also have Bluetooth or Wi-Fi connectivity. Generally, these functions are used to connect GPS devices together in a network. They can then transmit useful information to one another, but the range in normally limited to a mile or less. Interesting new capabilities are popping up all the time in the GPS market, so having more connectivity rather than less may provide more benefits as time goes on. The term GLONASS is an acronym (in Russian) for the global navigation satellite system. It is Russia’s version of GPS. When a GPS receiver can make use of either system, its ability access a satellite at any given time is vastly improved. This ability is even more important at higher latitudes and in urban areas or canyons. The GLONASS system is inherently more accurate than is GPS, and devices that use them in tandem are faster and more accurate than those that use only one system or the other. The functionality of modern GPS receivers is often boosted by the addition of various sensors. A digital compass can come in quite handy when doing general navigating. Any hunter should have a compass at the ready, whether digital or not. While not hunting-related, geocaching is a feature many GPS units support, and it therefore deserves mentioning. Geocaching is a game, much like a scavenger hunt, wherein players use their GPS systems to find a hidden “treasure”. Most often this treasure takes the form of a notebook hidden in a weatherproof box that the player signs as proof of finding it. Again, this feature is irrelevant to hunting, but it can be a fun way to enjoy the outdoors in the offseason. It isn’t hunting season all the time, after all. While any GPS navigator can be used for hunting, certain units will naturally be better at the job than others. Onboard sensors and software can provide useful functions, but there is really no making up for accuracy. Demand both GPS and GLONASS functionality, or be prepared to accept the inevitable slow location fix of a GPS-only device. The WAAS function of some navigators can also speed things up and improve functionality, all without the extra battery draw of tandem GPS and GLONASS use. Following those functions, a set of useful maps and the ability to read them on a clear screen are of supreme importance. Touchscreen functionality is a modern convenience, but not really a necessity. The same is true for onboard cameras. These functions can eliminate the need to carry multiple devices, but they rarely add much to the hunting experience all by themselves the way that reliable GPS navigation can.